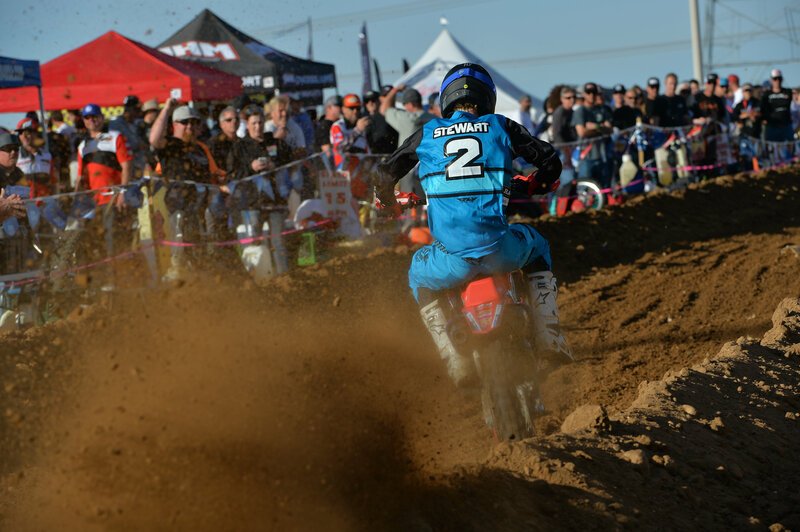 JCR/Honda's Trevor Stewart battled some of the best AMA Off-Road racers on the planet and came a way with a dominating WIN in the 2018 AMA WCGP Big 6 Adelanto GP hosted by SoCal MC! Trevor dropped the hammer as the green light start signified the beginning of the 2018 WCGP Big 6 season. His CRF450RX rocketed off the line to secure the holeshot. Trevor proceeded to lead the stacked field for the entire 1.5 hours to the checkered flag, winning with a 40 second lead over 2nd place. This was Trevor's 1st win in the WCGP Big 6 450 Pro Class. Trevor complimented his JCR/Honda team, parents, supporters and Honda for giving him the ultimate weapon and opportunity to show what he is capable of.